Mapin Publishing Pvt, 9781935677055, 79pp. Just off busy Mehrauli - Gurgaon Road in Delhi, India, the 16th-century Sufi court poet Jamali is buried in a tomb next to Kamali, of whom the printed matter says identity unknown, but who helpful guides say, was the poet's lover. Little about them is known. Karen Chase envisions love and longing between the two, who according to Delhi's oral tradition were homosexual lovers. 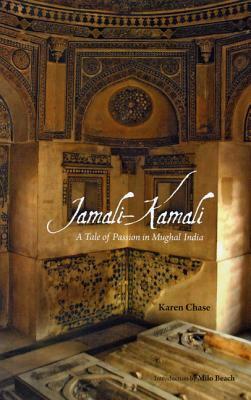 Others believe that Kamali was Jamali's wife, and some others believe that Kamali was Jamali's nom de plume. Over the reigns of Sikandar, Lodi, Babur and Humayun, Jamali's travels take him to Syria, Iran, Bhagdad, Ceylon, Mecca, Herat, Damascus, Palestine and Spain, making for many separations. The verse moves from Jamali's longing to Kamali's lament, re-creating the interplay between their passionate hearts.